A tattooed control freak who battered his partner so that the bruises would be hidden under her clothes and out of sight of her family and friends was today facing jail. Daniel Mudie subjected two women to horrendous abuse – choking one until she fell unconscious in an attack that a sheriff described as being “reminiscent of a pack animal asserting dominance”. The calculating thug also attacked one of his victims in a way deliberately designed to keep her injuries hidden under her clothes so her family and friends wouldn’t see them. In another incident the second woman – then pregnant – was repeatedly spat on by vile Mudie, who then pushed her over causing her to fall on her stomach. The jobless thug – who has previous convictions for assault to severe injury and for domestic assault – is now behind bars and facing a lengthy prison sentence over the attacks. Fiscal depute John Adams told Dundee Sheriff Court that the first series of attacks took place while he was in a relationship with a woman for around five years. He said: “After a period of time he became controlling and started assaulting her as well as remarking negatively on her appearance, which hit her confidence. “He was frequently violent towards her. “Police were contacted many times but she never proceeded with a complaint against him, but when contacted in 2016 as part of an investigation into him gave a statement. “During their time together he once grabbed her by the throat and attempted to strangle her, causing her to pass out. “He would punch her, pinned her against a wall and pushed her down stairs. “After the assaults he would say things like ‘look what you made me do’ and ‘if you never opened your gob this would never have happened’. “Her daughter from a previous relationship saw the violence from the ages of five to 10. “The complainer states the accused would try to hide the abuse by assaulting her on parts of the body where the injuries could not be seen. “She states she often had bruises and marks on her body. “The second woman began a relationship with him in March 2010. “Throughout the relationship he would often threaten to commit suicide, was very controlling and tried to isolate her from friends on family. “He constantly accused her of cheating on him. “She recalls an incident during her pregnancy to him when the accused was spitting on her face. “He then pushed her forcefully back causing her to fall on her stomach on the sofa”. 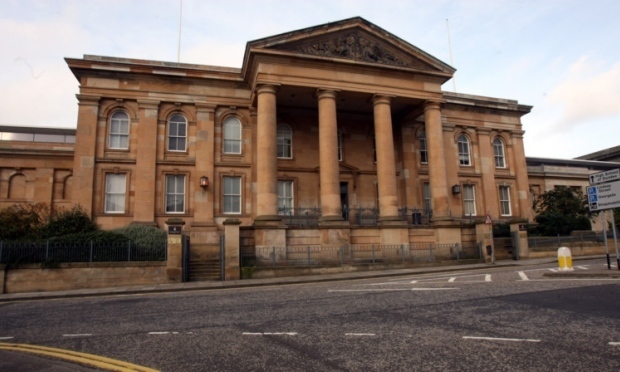 Mudie, 35, of Foundry Lane, Dundee, pleaded guilty to charges of assault to injury committed between January 2004 and March 2009, behaving in a threatening and abusive manner and assault. Defence solicitor William Boyle said: “These are incidents that occurred a long time ago when he was suffering from drug addiction and other difficulties”. Sheriff Alastair Brown deferred sentence until next month for social work background reports and remanded Mudie in custody meantime. He said: “This is a case with many of the classic indicators of serious, long-term, domestic abuse. “The accused manipulated his partner by threatening self harm and to commit suicide. “He denigrated and assaulted partners. “He blamed the victim for what he did, made accusations of infidelity and grabbed one by the neck to which is distressingly common and seems to be reminiscent of a pack animal asserting dominance and causes me great concern. “It appears to me that custody is an extremely likely disposal”.